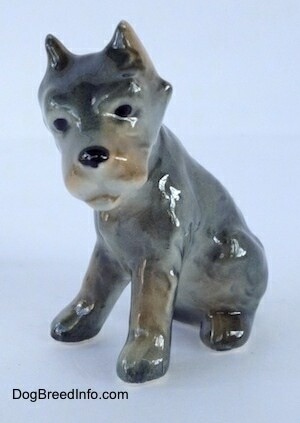 This is a vintage West Germany Cane Corso Italiano puppy figurine by Goebel. 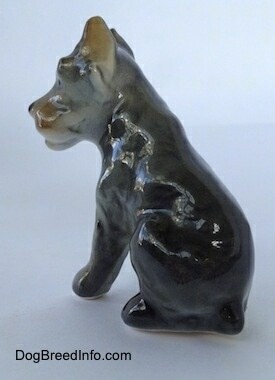 This little pup has cropped ears and a docked tail. 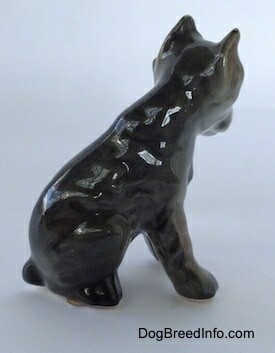 It is gray with fawn highlights with a nice glossy finish. On the bottom of the figurine is the trademark 6 logo (TMK-6) which sets the date the piece was made between 1979 and 1990. 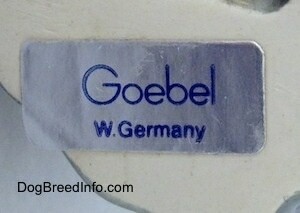 The logo is of the Goebel name with W. Germany below it. 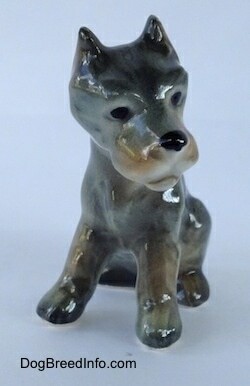 It stands about 2 1/2 inches tall from the ground to the top of the head, is 2 1/4 inch long from the front of the snoot to the back of the tail and 1 1/4 inch wide across the front from paw to paw. It is in excellent condition. 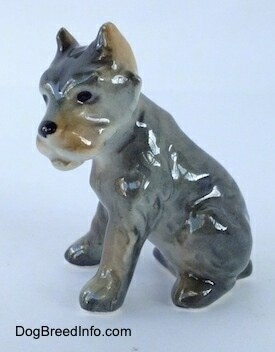 Vintage West Germany Cane Corso Italiano puppy figurine by Goebel—image showing the trademark 6 (TMK-6) logo of the name Goebel with W. Germany below it. 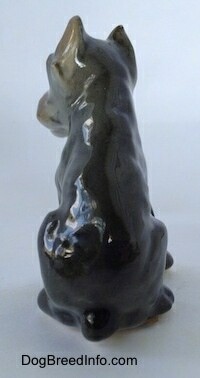 This sets the date this figurine was made between 1979 to 1990. This trademark was what collectors call the “missing bee” since the company had stopped using the bee in their logo. They later reinstated the bee into their pieces.